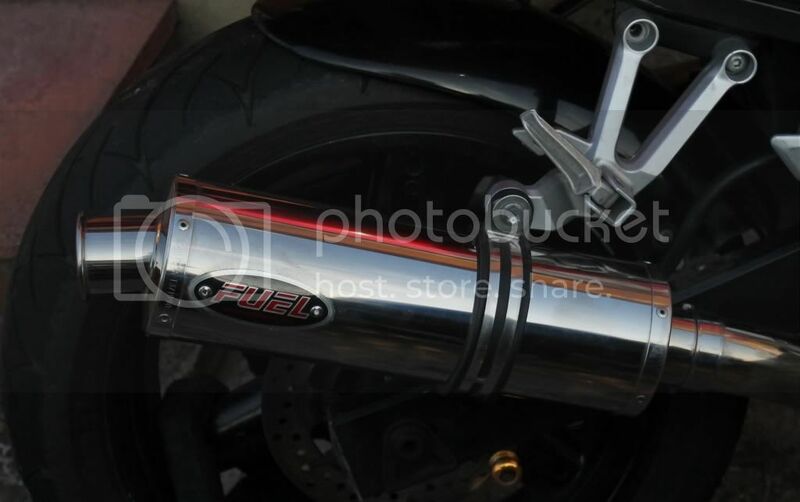 I got my fuel exhaust fitted today. Was worth the wait to get it in the garage. Sounds and looks fantastic. I'm yet to hear it without the baffles but im sure it will sound incredible. The service from Fuel was brilliant. Can't recommend them enough. That looks fantastic, I think I shall get one of these from the missis for our anniversary! 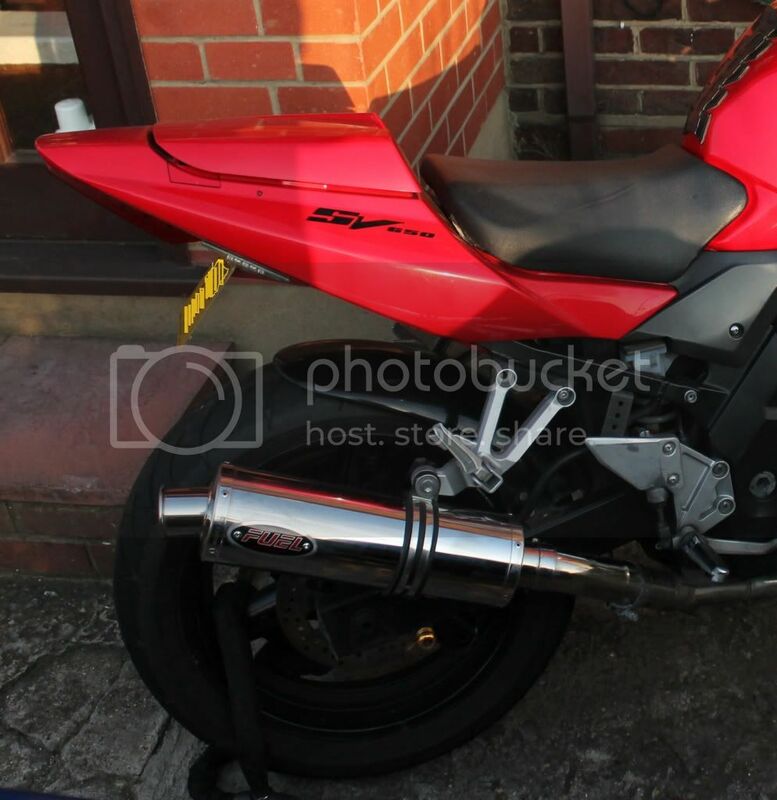 I've been thinking about changing the exhaust can on my SV650s and the Fuel looks good - but how much surgery is there to be done when it's fitted, do you need to have a power commander to make the best of it, does it offer any extra torque or benefits apart from being lighter & looking better than the standard exhaust? hi .wrote a lot and added pic but then told me i wasnt logged in .was when i started! Fail This reminds me, I need to pick up a new can from exhaust after mullering mine along the surface of Rockingham. Does anyone know if the offer will continue this year as the code no longer works? Phone Louise at Fuel 01539 738333 she will sort it out for you. Excellent company to deal with, nothing is to much trouble for them. Had the fuel on the S for a few months and now thought that I'd have the Beowolf on the S and the Fuel on the N. Dont know if its me but, I prefer the Beowolf over the Fuel. And sorry I can see the finger prints all over the can. Last edited by sniff; 01-03-12 at 04:41 PM. Had my FUEL can for many years now , got it at the N.E.C.,the last time they were there. excellent looks and sound. I recomend their product. Just one small gripe, i asked them over a year ago if i could have a couple of stickers for my fairing [other companies i asked sent some back by return of post ] I have sent a few reminders over the past year , and they have replied,that they havn't forgotten. but still no stickers ! Shame coz when my bikes parked on a day out ,people ask 'what make is the can', can't tell them if i'm not there though. Hope somebody from FUEL reads this ..they might take the hint. Last edited by cazzie; 17-07-12 at 07:21 PM.